Biggest Savings On Cat Spays and Neuters in Albuquerque! We proudly offer low-cost spay and neuter for cats! Spay or neuter for you cat can be a big expense for a new Albuquerque pet owner. Because altering is integral for your cat’s health you want to get it done, but not spend and paw and a tail to do it. We believe that every cat and cat owner should be able to get proper veterinary care. This is why we offer low-cost spay and neuter to everyone in Albuquerque and Los Lunas, not just low-income families. Our commitment is to keep the Albuquerque, New Mexico animal population healthy. We accomplish this by working with programs like Best Friends Street Cat Program and PACA, as well as keeping our costs low for our everyday patients. Call to schedule your spay and neuter at either of our 2 convenient locations. Aren’t on the prowl for a mate. When should you get your cat altered? It’s best to do it between 2 and 6 months old. What if my cat is already in heat? If you cat has gone into heat and you want her altered, you can still have the procedure done. 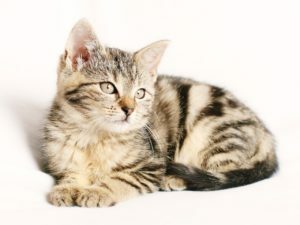 If you have any questions about the health benefits or complications of altering your cat, please call Albuquerque Vetco veterinary clinic and our veterinary staff will be happy to answer your questions. In addition to our already low costs, we often have specials to help save more money. See our veterinary promotions page to get additional savings.